A CMS proposal to allow surgical centers to perform knee replacement surgeries has divided the medical community, with some saying it puts patient safety at risk and others saying the move empowers beneficiaries to receive care in cheaper, more comfortable settings. In July, the CMS proposed to allow Medicare to pay for total knee arthroplasty in outpatient settings. The CMS solicited comments on whether to remove total and partial hip arthroplasty procedures from the inpatient only list in the future. In addition, the CMS sought comments on whether these procedures should be added to the list of surgical procedures that can be performed in ambulatory surgical centers. Joint replacement surgeries among non- Medicare beneficiaries are increasingly taking place in hospital outpatient settings, and the CMS is taking that into account with the proposed change. For instance, healthcare consulting firm Sg2 estimated last year there was 47% increase in elective outpatient hip and knee replacement procedures between 2012 and 2015. Since joint replacement surgeries are increasingly taking place in hospital outpatient settings, and the CMS is taking that into account with the proposed change. But hospitals claim the proposal could hamper patient safety. Patients undergoing outpatient knee surgeries are younger. Seniors 65 and over, which make up most of the Medicare population, tend to be sicker than those patients. Nearly 50% of all Medicare beneficiaries live with four or more chronic conditions and one-third have health issues that limit their ability to function independently, according to the hospitals. "These factors often make a simple procedure much more complicated," Marilyn Litka-Klein, a vice president at the Michigan Health & Hospital Association, said in a comment letter. Comments on the CMS proposal were due Sept. 11. Other providers were concerned that the proposal would undermine hospitals' efforts under the Comprehensive Care for Joint Replacment, or CJR, model and Bundled Payment for Care Initiative, or BPCI, to bring down the cost of these procedures. While BPCI is voluntary, nearly 400 hospitals around the country are required to participate in the CJR initative. Allowing these procedures to take place totally outside a hospital setting could hurt providers involved in these programs, since their performance is compared to historical costs associated with the joint procedures, Dr. Bruce Siegel, president and CEO of America's Essential Hospitals, said in a comment letter. If the CMS allowed these surgeries to move away from an inpatient setting, the agency may have trouble establishing an accurate cost target for CJR and BPCI participants, Siegel said. "This would lead to confusion among hospitals and CMS, as well as issues of accuracy and fairness in setting target prices," Siegel said. Ambulatory surgical centers encouraged the CMS to finalize the proposal. They said not all Medicare beneficiaries need the level of care provided at acute-care hospitals following a joint replacement procedure. 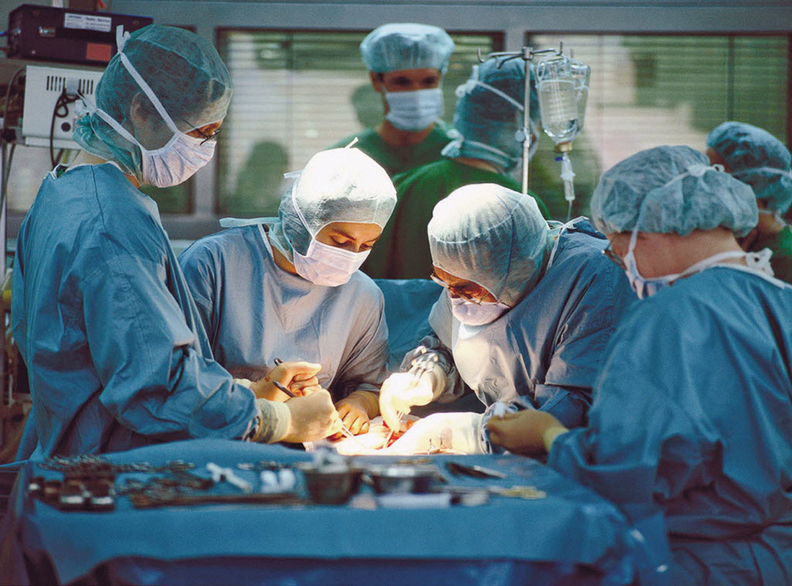 "Now, due to less invasive techniques, improved perioperative anesthesia, alternative postoperative pain management and expedited rehabilitation protocols, these types of procedures are being done safely and effectively in outpatient facilities such as ASCs," Dr. Scott Faucett, an orthopedic surgeon who is a part-owner of the Massachusetts Avenue Surgery Center in Maryland, said in a comment letter. Outpatient settings may be the better, less costly choice for Medicare patients who are healthy, active and have a relatively low anesthesia risk, according to Dr. Christopher Chen, an orthopedic surgeon at the California-based Pacific Bone and Joint Clinic. "Medicare, its beneficiaries and taxpayers are spending more money than necessary because these procedures are not reimbursed in lower-cost, highly regulated settings such as ASCs," Chen said in a comment letter. Medicare paid for more than 400,000 knee and hip replacements in 2014, shelling out more than $7 billion to pay for hospitalizations stemming from these procedures, according to the CMS. The CMS is expected to unveil the final 2018 outpatient pay rule in November. Correction: This story has been updated to clarify the proposed rule and its impact on payment to ambulatory surgical centers for knee replacement procedures.